Course Website: Official Website - Visit Ohio State University (Scarlet)'s official website by clicking on the link provided. 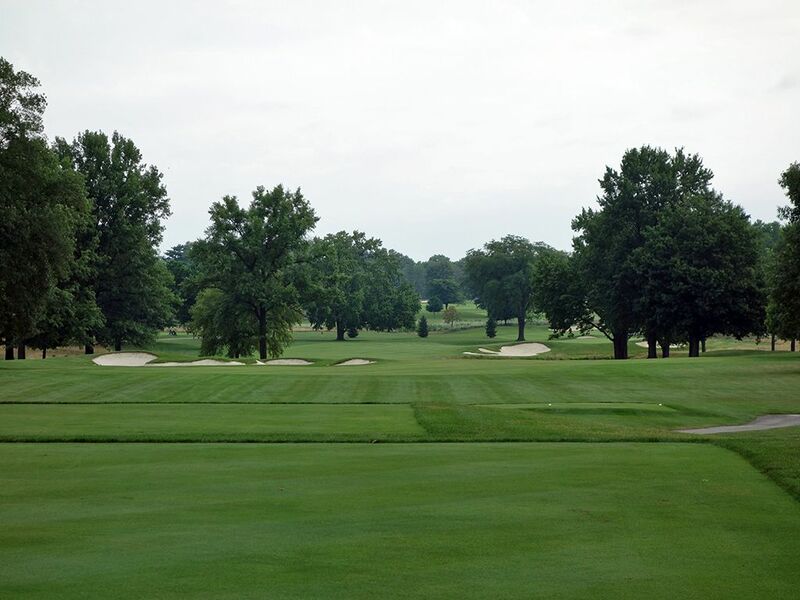 Accolades: Ranked 11th in Ohio on Golf Course Gurus' Best in State list. Host of the NCAA Championships in 1941, 1945, 1951, 1956, 1975, 1980, 1987, 1995, and 2002. 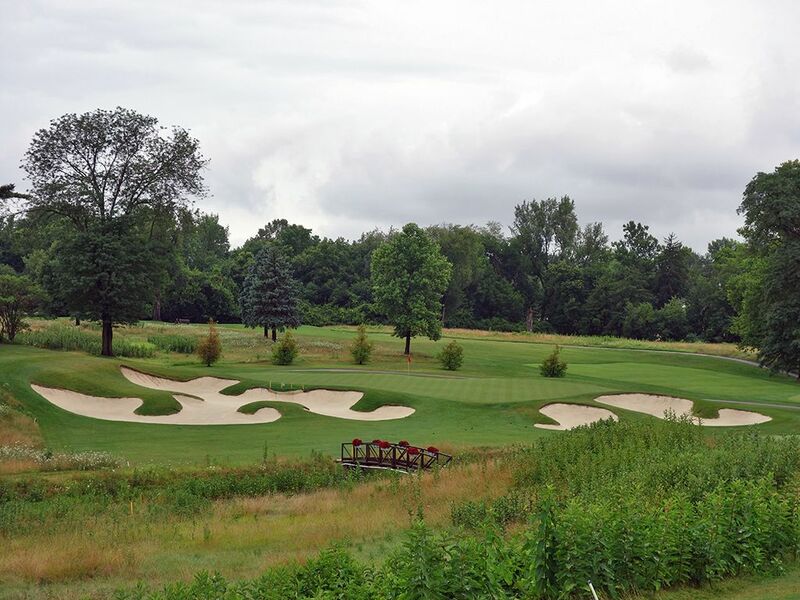 What to Expect: You can’t talk to Ohio residents very long about golf in Columbus before Ohio State University’s Scarlet courses comes up. Located in the middle of town, the famed Scarlet course layout was originally designed by Dr. Alister MacKenzie and then renovated in 2006 by Jack Nicklaus. The track is a parkland offering with bunkering that appropriately enough feels half like MacKenzie and half like Nicklaus. Interestingly the Good Doctor designed the course but passed away before he could see it get constructed. The property is characterized by a creek that runs through it as well as a large pond known as Turkey Run. The best golf holes on Scarlet are found along these water features where hazards and the strongest changes in elevation exist. The rest of the terrain is slightly rolling and creates some challenging approach shots to contend with. If there is one takeaway everyone has from OSU’s Scarlet course it is how challenging of a test it can be. There is plenty of length to contend with and difficult green sites to navigate. It has long been regarded as one of the finest university courses in the country and has hosted multiple NCAA championship events. Everything at the course celebrates the university with golf national championship team photos in the clubhouse, scarlet and gray golf carts, and an Ohio entrance sign made from flowers. 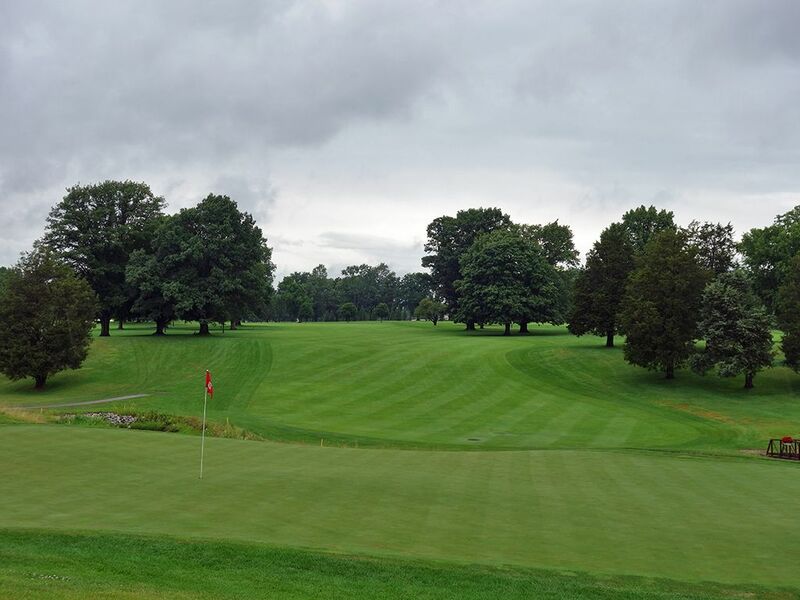 The conditioning isn’t the club’s strong suit as it feels more like a municipal course with relatively poor drainage and greens that are being infiltrated by poa annua. 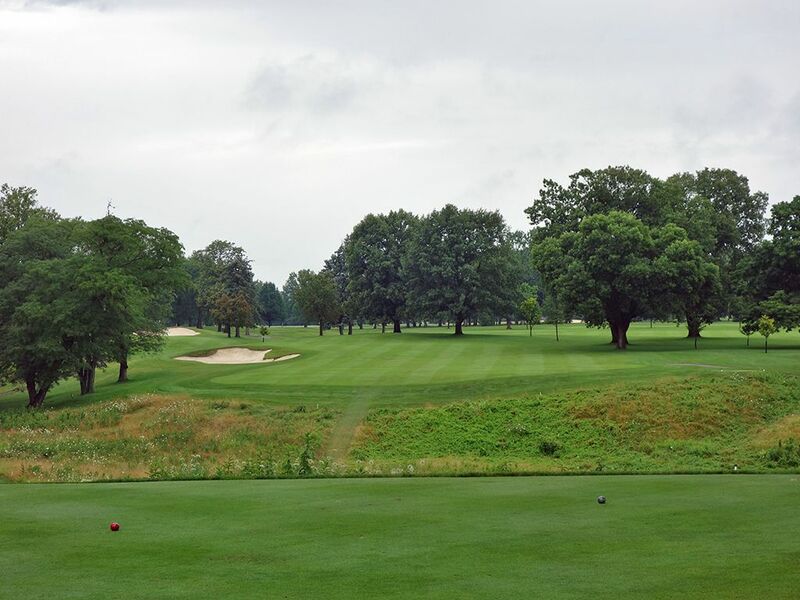 While the golf rich state of Ohio, and particularly the Columbus area, can drown out Scarlet as one of the elite course in the Buckeye State, if I could have played golf in college at a course like this for as cheap as OSU students are offered, I certainly would have spent less time in class. Signature Hole: 4th Hole – 575 Yard Par 5 – I asked three different staff members what their favorite hole on the course was and all three of them said something along the lines of, "I don't know which one is my favorite, but I know the one I hate the most is #4." After playing the 4th hole, I couldn't disagree more. 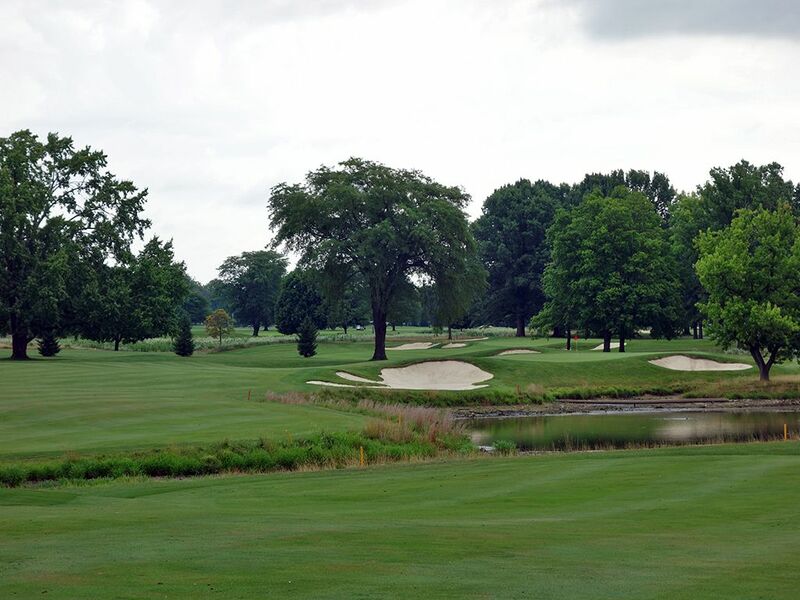 I thought it was a great hole that had more character than the majority of offerings at Ohio State's Scarlet course. The number one handicapped hole on the the property, the lengthy 4th plays downhill with a large bunker on the left side of the driving zone that encourages you to aim right. The problem with going too far right is that a small grove of trees will block your view and chances of reaching the green in two. This could be a tender mercy though because the angle to hold the green from here is poor and water fronts the putting surface from this position. 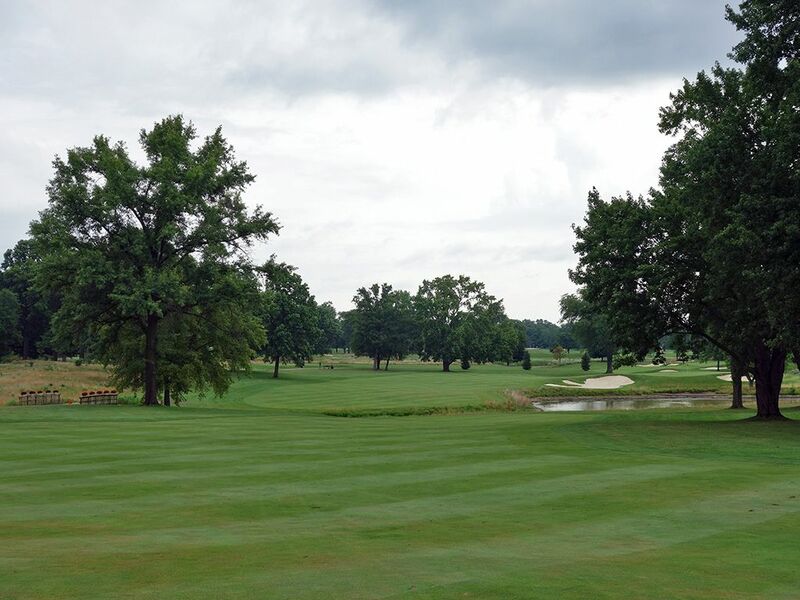 About 150 yards from the green a creek cuts through the fairway and must be laid up short of or carried on the second shot with the ideal play being over the creek to the left side of the fairway. From this position the green is at its most receptive angle where balls can be taken in aerially or on the ground between the four bunkers protecting the putting surface. People may not like it because they don't score as well as they'd like, but you'll be just fine if you don't get greedy and just take what Jack and The Good Doctor give you here. Best Par 3: 13th Hole – 221 Yards – The 13th concludes Scarlet's finest three hole stretch and does it with class on this attractive one-shotter. The tee shot plays ½ club downhill to a green protected by three bunkers; a large MacKenzie style bunker on the left and a pair of Nicklaus style bunkers on the right. A creek cuts in front of the green about 50 yards from the center and 35 yards from the front so chunking one off the tee could cost you more than just your pride here. With all of the trouble up front, the miss is clearly long where you leave yourself a good chance to get up and down so swing away with confidence. Best Par 4: 11th Hole – 473 Yards – The 11th is a proper par four, as they would say on the other side of the pond, and will require a paid of solid shots to tame. 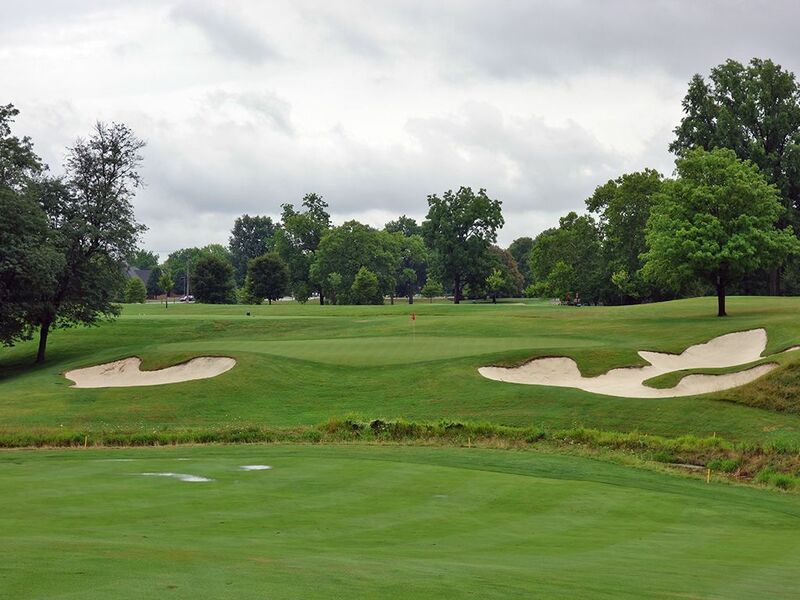 A bunker protects the inside bend in the fairway about 280 yards from the back tee and should encourage players to veer right of it as they carry a creek off the tee. The approach shot will play uphill to a raised green and you'll be attacking it with a long iron so you'll need to be on your game to see this green in regulation. One place you don't want to end up in is the large bunker short and right of the green where up and downs aren't very common. This is just a good, strong test. Best Par 5: 12th Hole – 562 Yards – Running parallel to the 11th, the 12th is all about the approach shot. If you are going for the green in two then the approach shot plays downhill to the putting surface, but if you choose to layup just short of the creek that fronts the green then you will find yourself needing to hit the ball to a green 10 feet above you with a false front staring back at you between the bunkers. You can layup further back but will be faced with the dreaded downhill lie to a raised green scenario which can be a difficult situation to come out looking good on. The holes where the creek comes into play on Scarlet are some of its best and this is a good example of it. Birdie Time: 16th Hole – 378 Yard Par 4 – Time to score. At just 378 yards the 16th is easily the shortest two-shotter on the course and you need to take advantage of it. A 260 carry off the tee will carry the bunker protecting the inside of the dogleg left while playing it safely to the right will still leave just a wedge into the green. Despite the green being heavily bunkered, take dead aim at any flag position and knock down your birdie. Bogey Beware: 14th Hole – 473 Yard Par 4 – After a wonderful three hole stretch, players are now tested with a brutal hole. Climbing over 30 feet from tee to green, the 14th plays longer than the 473 yards the scorecard shows and will likely leave you with a long iron or possibly a fairway wood into the green. The t-bone shaped putting surface is pinched in the front by a pair of bunkers while leaving plenty of width across the back third. Hitting this green in regulation is a very challenging feat and the biggest reason it is rated so difficulty. Good luck!